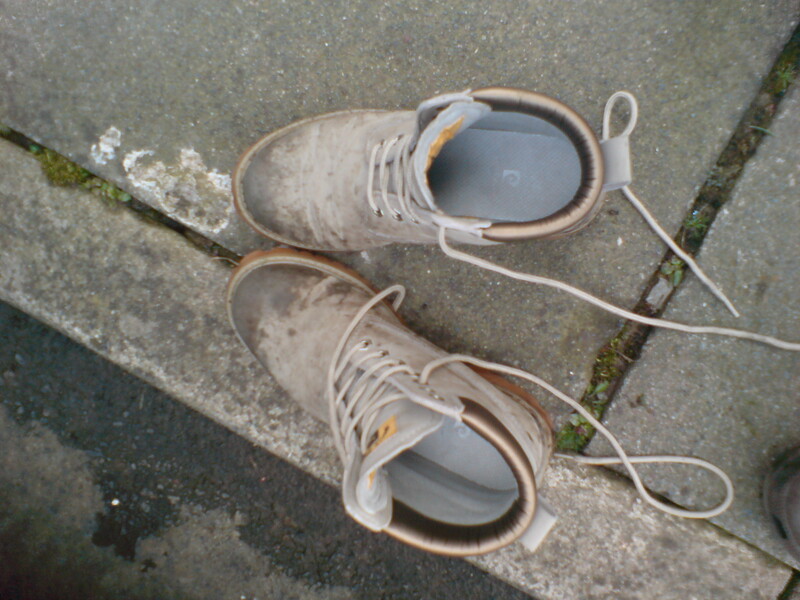 My sturdy dog-walking boots, after a hard day’s tramping. 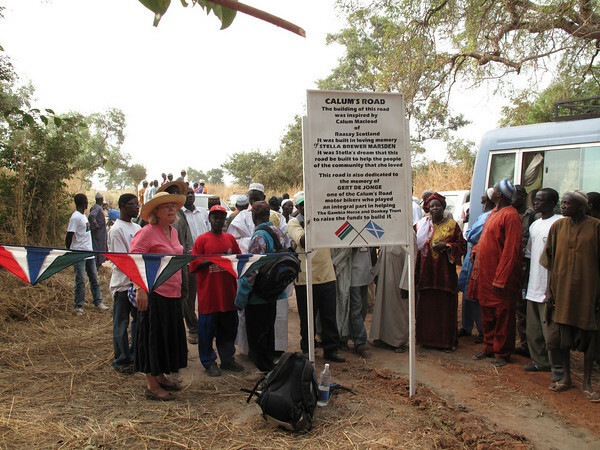 One of the most awesome achievements that I was privileged to be a teeny part of was the construction of the new Calum’s Road in The Gambia. 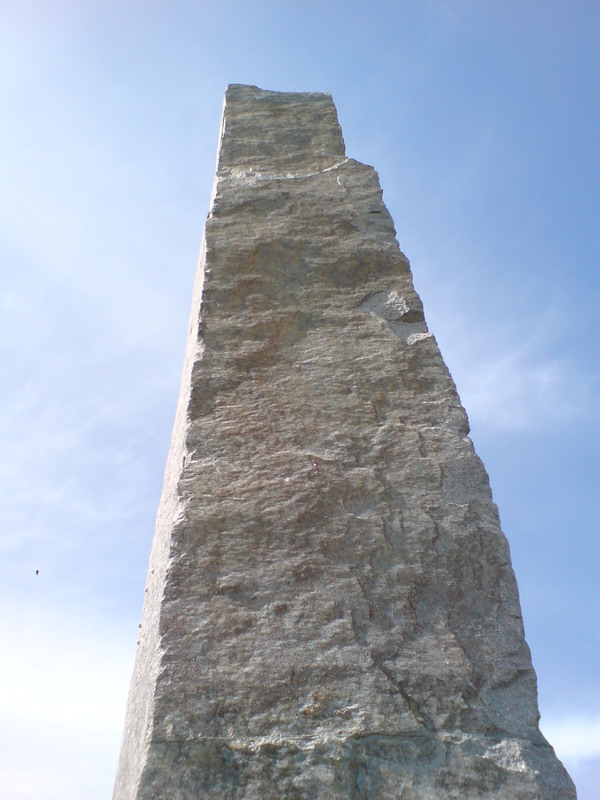 The original Calum’s Road, on the Scottish island of Raasay, was an awesome achievement itself: one man’s toil and struggle against the intransigence and disinterest of the authorities, eventually building a road to his croft all on his own. This inspired the late Stella Brewer, and later her sister Heather Armstrong, to repair a road near the village of Sambel Kunda, to provide a vital link to schools, health centres and markets. Much of the fund-raising for this was done by my husband and a group of fellow motorbikers, who journeyed through the snows of January 2010, across sub zero temperaturs in France, through Spain, across to Morocco, Mauritania, Senegal and finally to The Gambia. One of the bikers was Gert de Jonge, who was tragically killed in a road accident later that year. The road is dedicated to him and to Stella, and the ribbon was cut by Gert’s widow, Annette.